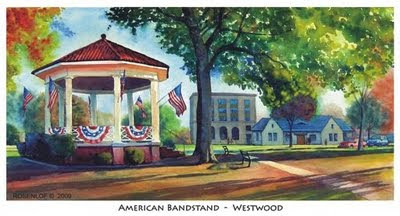 This is a watercolor of Veterans Park in Westwood, NJ. "Pequat" is now showing at the NJWCS elected members show in Clifton NJ. The subject of this painting is a boat cocooned for winter on the banks of the Hudson. The painting is 30x39" and is priced at $950.